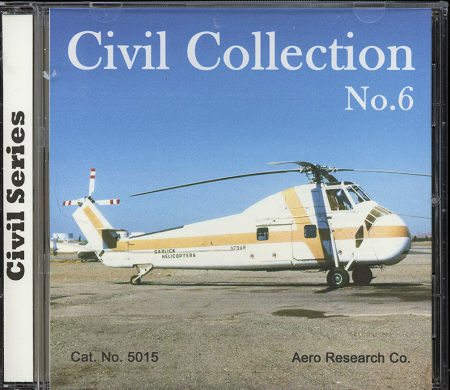 Next up is the sixth edition of Aero Research's discs on Civil aircraft. These are not your standard airliner types nor are there many in the way of warbirds, though there are several ex-military aircraft included. These are images of planes from small airlines, cargo types, executive aircraft, bush aircraft, and your normal 'guy with the money to buy and fly a plane' types. Aircraft range all over the spectrum with a goodly number of images of planes from Aero Commander, Douglas, Beech, Lockheed, Cessna, deHavilland and a number of others. There are also several black and white images in amongst the 157 large images on this disc. Not all are from the US, either as you'll find several from various areas around the world included. In all, it makes for another superbly done disc full of airplane eye-candy that will be sure to please the enthusiast. Thanks to Aero Research for the review CD.